Wan Azizah Wan Ismail also criticised the prison authorities for allegedly delaying Anwar’s request for treatment and tests for his medical problems. “His blood pressure goes up and down and is erratic. He also suffers from other serious health problems,” she told AFP. “But he is in (a) stable condition,” she said, adding that the family expected to visit him later Tuesday. Referring to his other illnesses, Wan Azizah said that Anwar was experiencing pain in his right shoulder and had been requesting a scan since February when he was jailed for five years. “I think they are scheduling a scan for him at the hospital,” she said. Meanwhile, Anwar’s lawyer N. Surendran told AFP the 68-year-old politician had blood in his stools. Surendran said Anwar’s legal team also hoped to visit him in hospital. 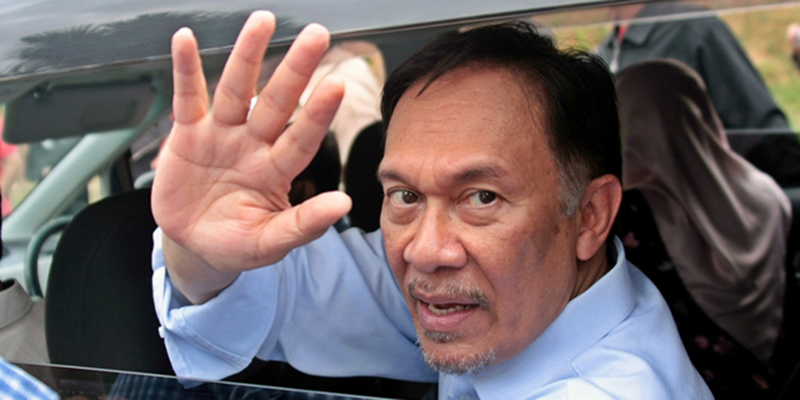 Anwar was convicted last year of sodomising a former male aide, which he denies, calling the prosecution a “political conspiracy” by Malaysia’s long-ruling government to destroy his political career. On Monday US President Barack Obama said Malaysia must be careful that the high profile prosecution does not have a “chilling effect” on democracy while other countries and international human rights groups have also raised concerns. Anwar helped transform Malaysia’s previously divided opposition into a formidable alliance that pushed the country’s 58-year-old regime to the brink of electoral defeat in 2013.